Trust present Club with Cheque from Sponsor a Goal ! The Trust, in association with Chris Trodd, were delighted to present Gary Waddock a cheque for over £1500 prior to the Maidstone match. 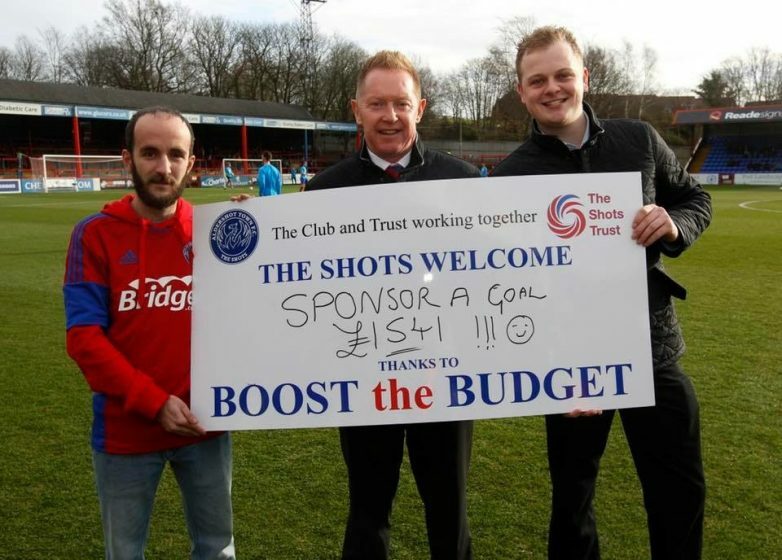 This represents the profits from the scheme started in the summer, were a number of fans agreed to sponsor each and every league goal scored by the Shots!